The 2019 World Cup is less than 100 days away. Former and present Indian cricketers are voicing out there options on who should be India's No.4 at the World Cup. 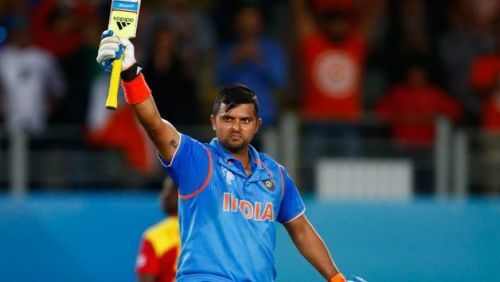 Suresh Raina, who was a part of the Indian team in the last two World Cups, picked Dhoni as his ideal number four for India in the upcoming mega event. He feels that Dhoni could serve well in this position. The number four position has been a headache for the Indian team ever since they started preparing for the World Cup. They tried out various options, but none of them gave a solid performance.
" The amount of runs Dhoni has scored recently in Australia and New Zealand and the kind of guidance he gives to the youngsters in the team, especially the bowlers, that augurs really well for the boys. He has seen a lot of ups and downs, he has been a part of quite a few World Cups and has also been there in IPL finals and that is why he is the go-to-man for skipper Kohli "
Before the mega event, India will play five ODIs vs Australia, which will give them an option to try out a few players before finalizing the squad for the World Cup. India kick-starts their World Cup campaign against South Africa. It will be played on 5th June at Southampton.